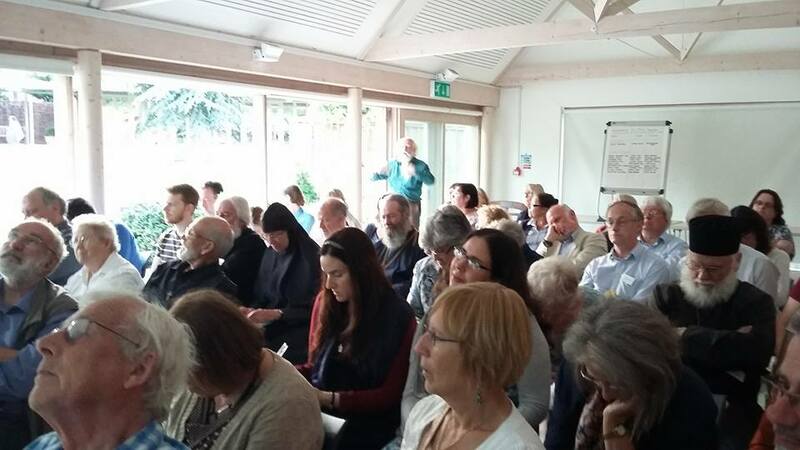 Our Annual Summer Conference sadly came to a close today. 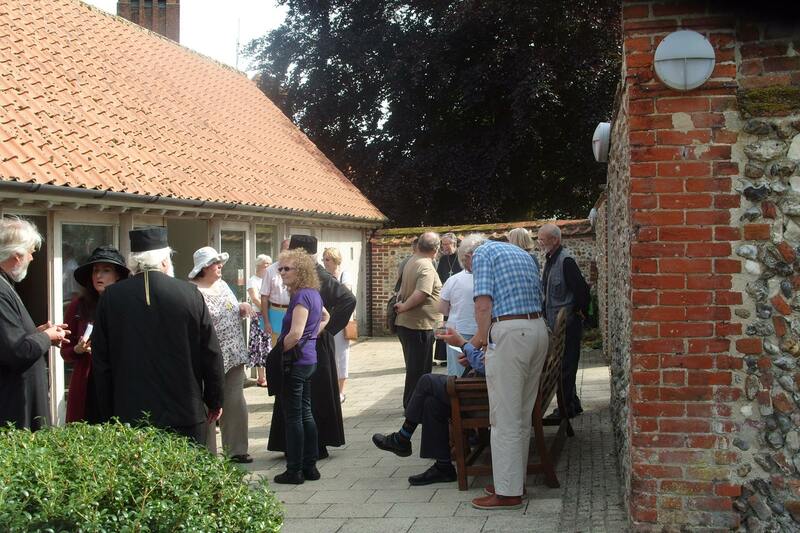 It was held at the Shrine of Our Lady of Walsingham and was both a pilgrimage and a conference on the theme of Pilgrimage. A full report, including many of the talks, will appear in the next edition of Forerunner. Sign up as a member today to get a copy. Videos to follow. 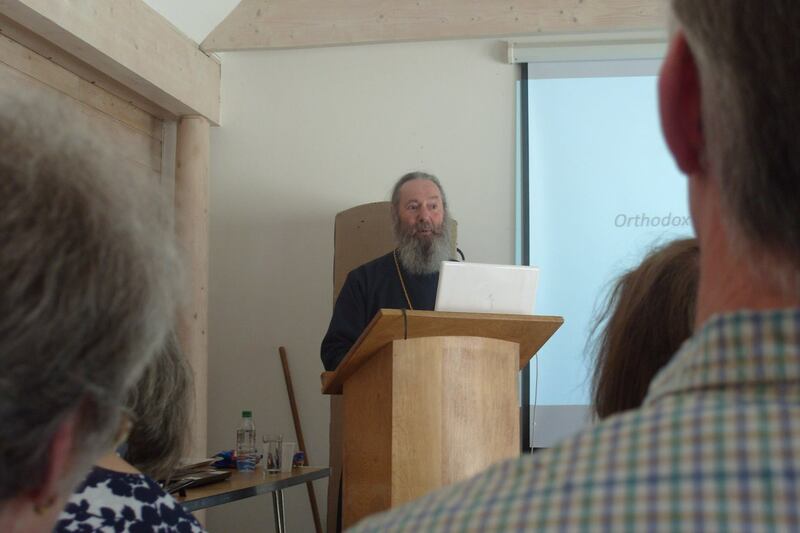 A really fascinating talk about Russian Pilgrimage to Mount Athos by Dr Nicholas Fennell Watch out for the millennium celebrations of Russians on Athos in 2016! 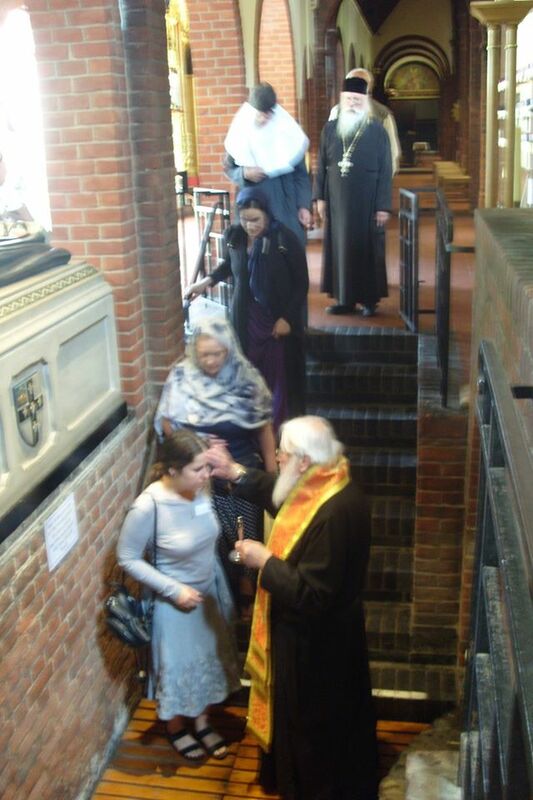 This was followed by a potted history of Orthodoxy in Walsingham by Fr Philip Steer. 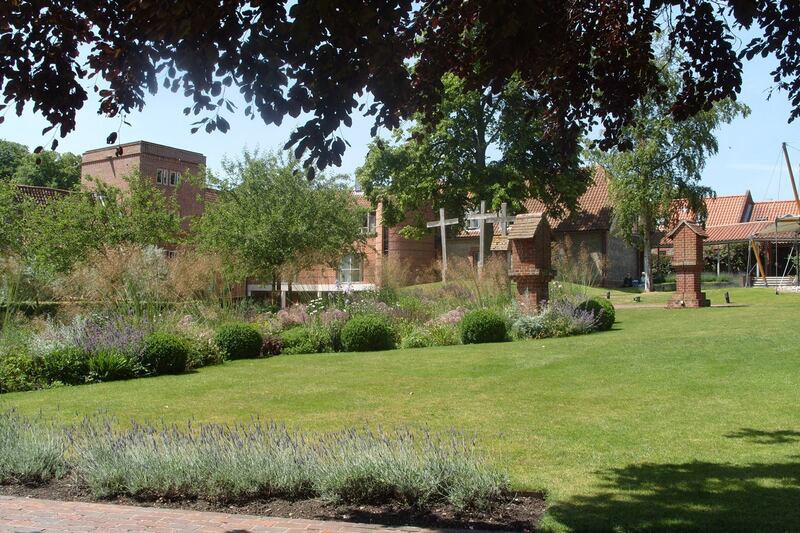 Did you know that St Nikolai Velimirovic served the Liturgy here several times after being released from Dachau concentration camp? 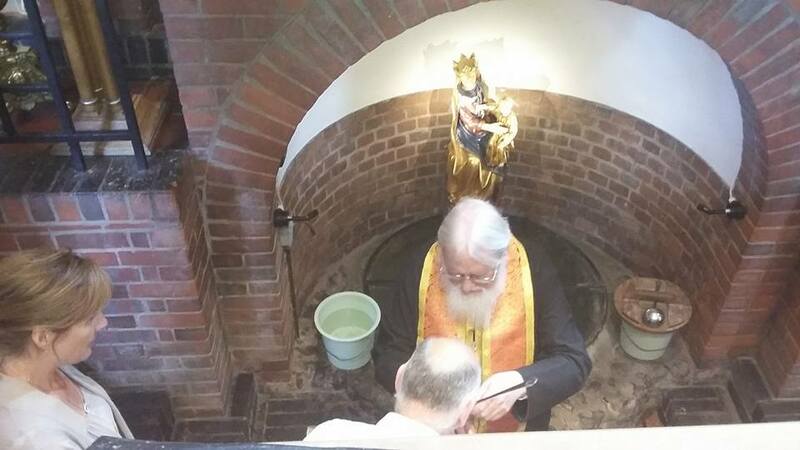 St Nikolai, pray to God for us! 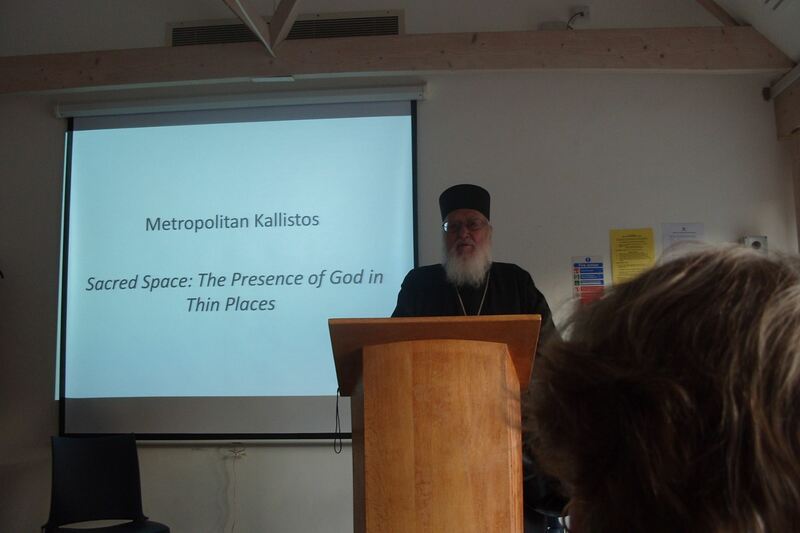 In the afternoon, Fr Pancratios Sanders challenged us to go on more pilgrimages in the right spirit: to the Holy Land, to sites of martyrdom, to monasteries, wonder – working icons… and to sites associated with British Saints like Holywell. 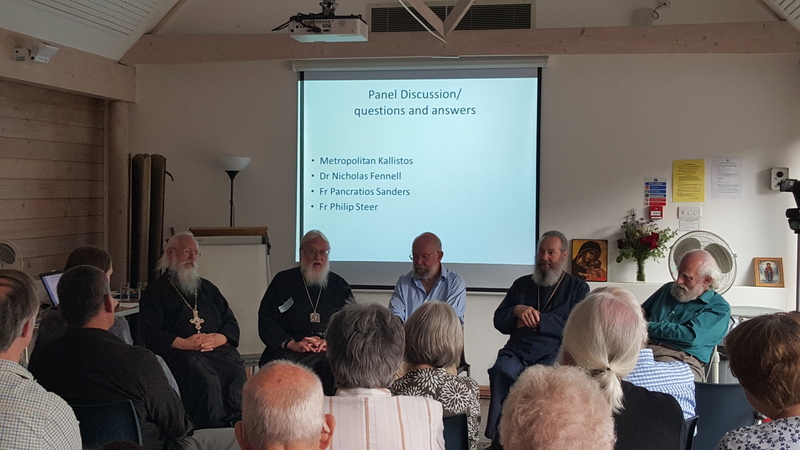 The panel at the Fellowship summer conference: Fr Pancratios Sanders, Metropolitan Kallistos, Dr Nicholas Fennell and Fr Philip Steer. 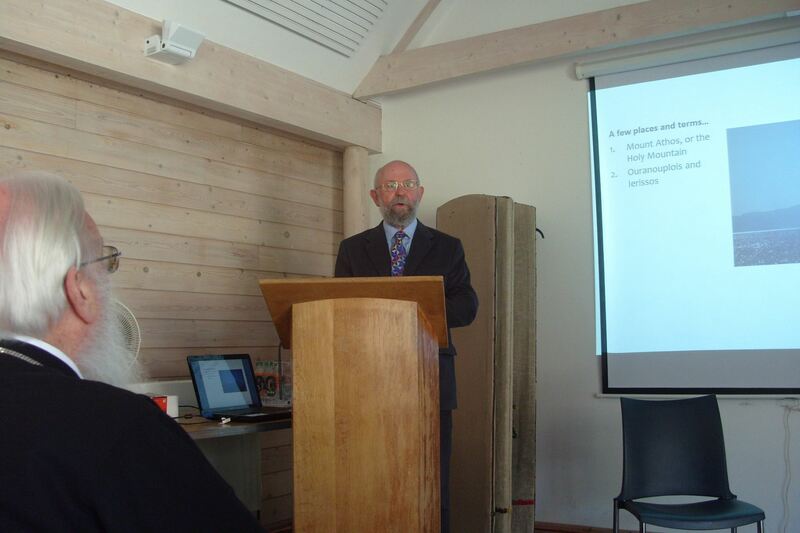 Led by our new Fellowship Chairman, Bede Gerrard. 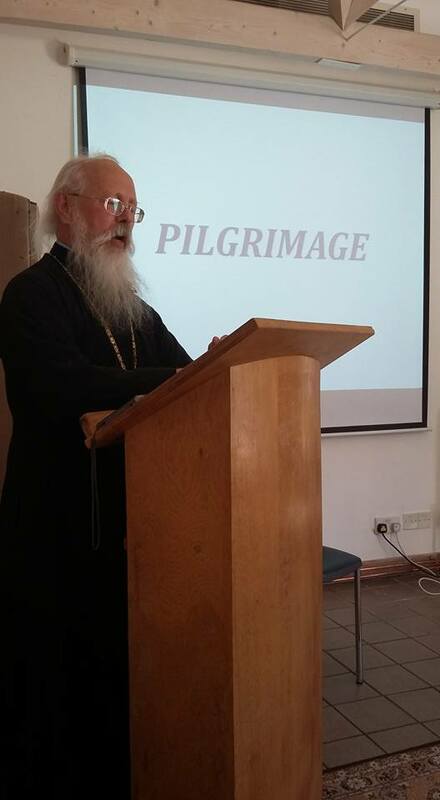 Challenging questions on how much hardship a pilgrim should endure, expecting the unexpected and what their top tips would be for a Pilgrimage Survival Guide. 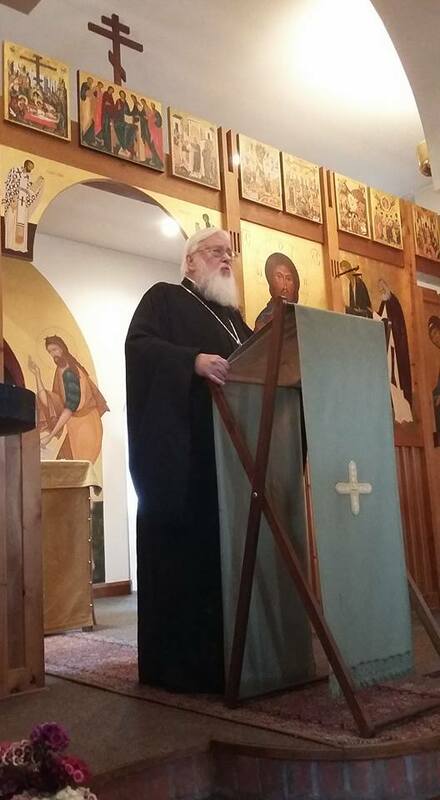 So the Fellowship summer conference came to a fitting end with the Divine Liturgy, where Metropolitan Kallistos reminded us that we are icons of the cherubim, participating in the eternal Divine Liturgy where Christ is both He that offers and He that is offered.